What's in a name? Today is October 12, Columbus Day, Día de la Raza, the day of contact. 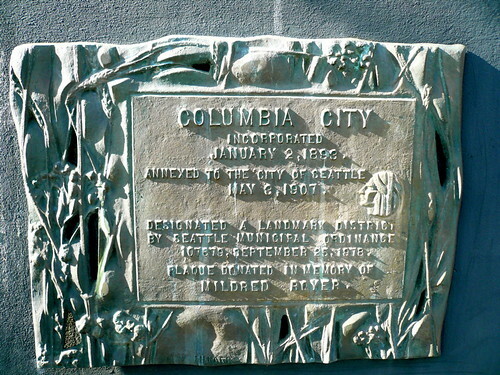 Columbia City draws its name and many of its place names from the storied explorers of yore. 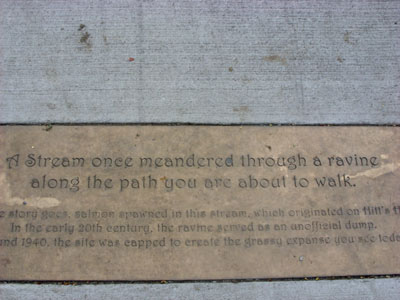 So let's take some time to consider the effects of those historic connections, and what awaits through our own exploration and discoveries. Change is coming to our community center — what's your input? Stay Up Late listening to some of your favorite Northwest authors. 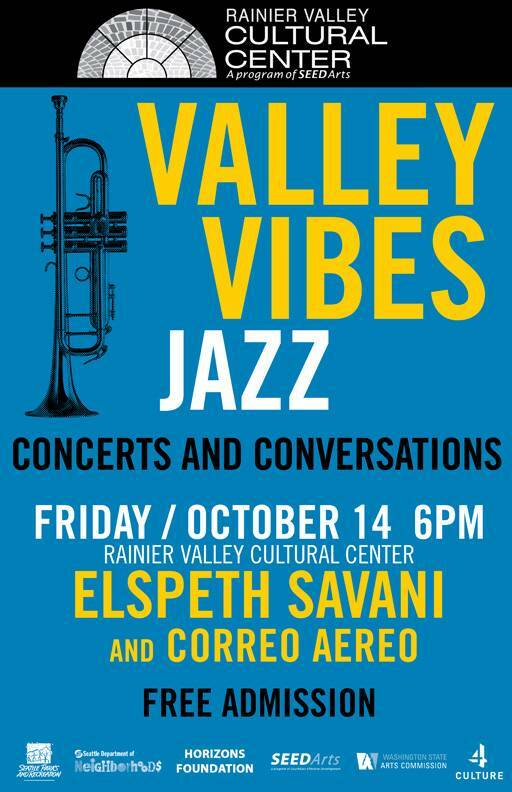 Valley Vibes is this Friday. Figure out where your Council candidates are coming from at the LSPCC. 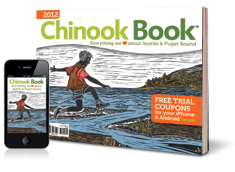 Opportunity knocks — support a school, get a Chinook Book delivered directly. Ali offers a money workshop for women. Learn some uke chords with Kathleen. Bike Works and the Church of Hope show India by bike. Campbell offers free voice lessons. An alleged gang member gets away, a kid shoots himself in the leg, and police make a weapons arrest. Mayor McGinn walks to school. 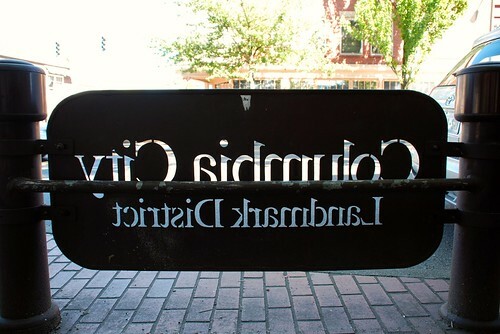 The Columbia City Bakery makes a generous donation. More buzz about Orcas Landing. Southside Booty Camp offers free workouts. The Chinook Book is back! 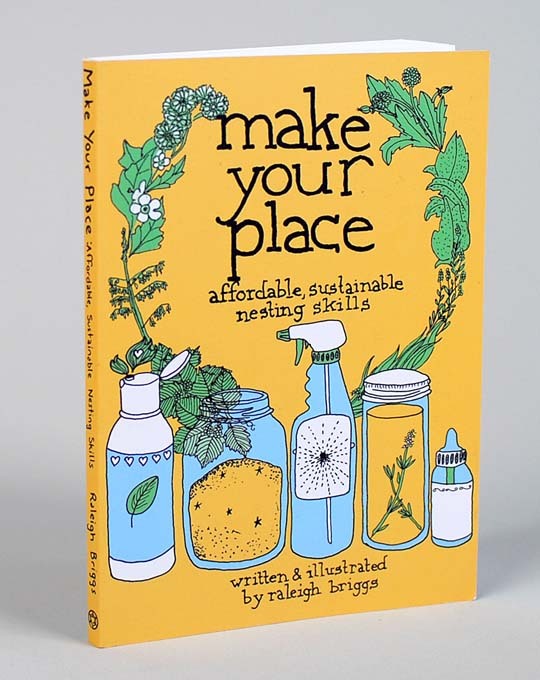 It's Seattle's guide to simple, approachable, affordable ideas for local living. As a coupon book, it's incredibly easy to use. I penciled it out — last year our family saved about $150 without even trying. This is a win-win-win — for you, for the local scene, and for Graham Hill School. It's a no-nonsense fundraiser for southeast Seattle's most integrated public elementary. Books are $20, and there's a handy mobile app too. Last year these sales helped Graham Hill Elementary fund tutors, the Powerful Schools program, and busing for after-school programs. 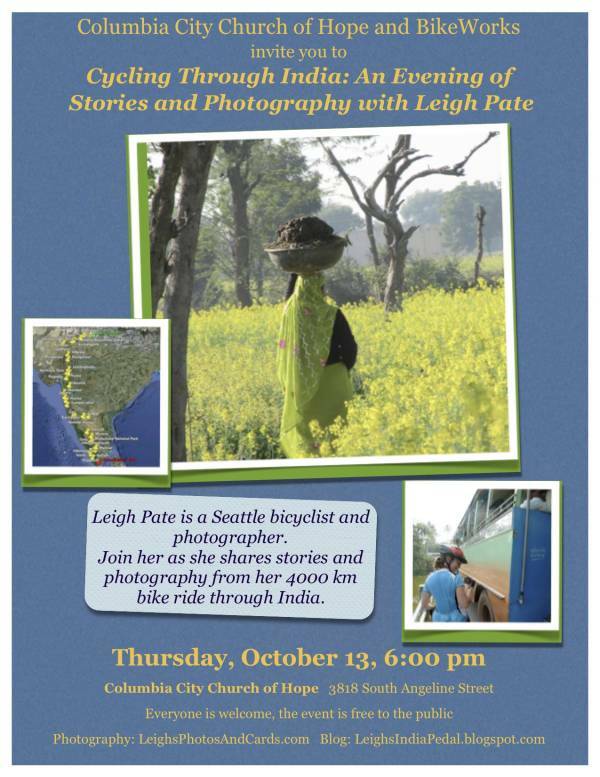 In 2011 Leigh Pate cycled 4000 km through India. Traveling by bicycle took her far off the tourist path and into beautiful rural areas rarely seen by Westerners. The photographer will talk about her trip and show slides of her photographs. Some prints are framed and available for sale, and a percent of profits will be donated to BikeWorks. The Roberson family will again create a fright on Halloween that will scare and entertain adults and youth on Halloween day, October 31, 2011. At 5036 44th Ave S, a Halloween haunt for folks in the Columbia City neighborhood. 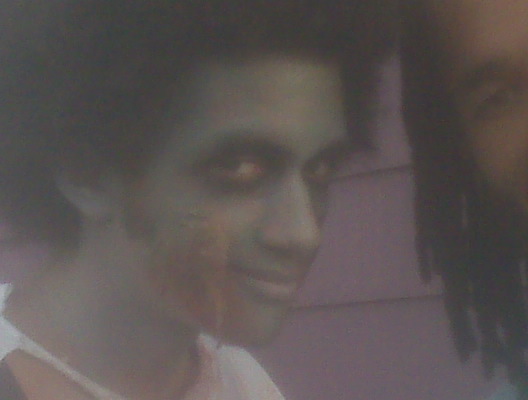 The Fright begins at 6:30pm and ends at 9:30pm. We invite adults and children of all ages to be "tricked or treated" in what has been an annual Halloween event for the Robersons. A special place will be set aside for those tiny ones who are not ready for being scared. 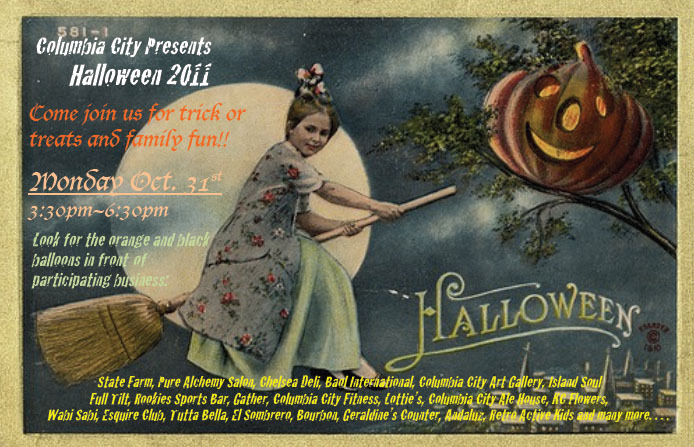 Come celebrate Halloween on Monday, October 31 in Columbia City. Trick or treating will take place in several neighborhood businesses from 3:30 to 6:30. Hope to see you there! Look for the orange and black balloons in front of participating businesses. 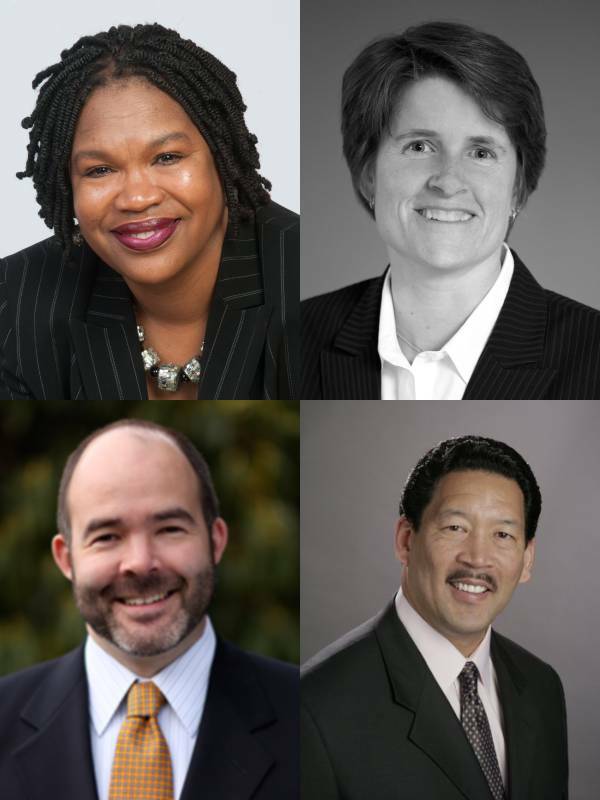 Get to know the candidates before the November general election on Tuesday, November 8th! Candidates for City Council Positions 3 and 9 will be featured at Candidates Night at the Clubhouse. Bring your questions, and compare the candidates' answers to help you decide. Our city council faces many important, cost cutting measures right now. 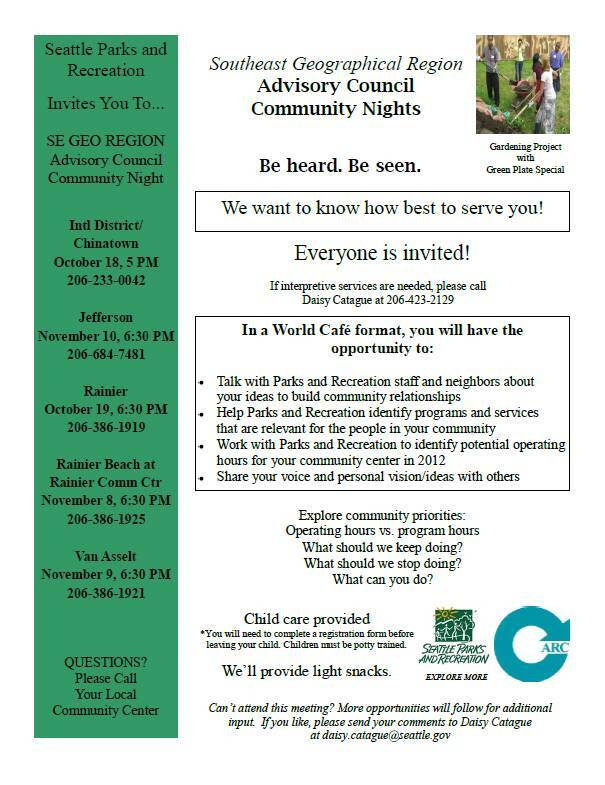 Share your views with them and with your neighbors and see what we can accomplish! Which is better: paying a lot for environmentally friendly cleaning products, or paying a little for products full of who knows what? Neither! In this workshop, we'll share easy, affordable recipes for products you can use to clean your home, your body, even your four-legged friends. Learn how easy it is to go green the DIY way! Recipe sheet is included. The rain has arrived, the long dark days of winter are approaching, and you know what that means — it's ukulele time! Come learn the fundamental skills to get you playing this versatile, portable, and fun instrument. Each four week session costs $52. 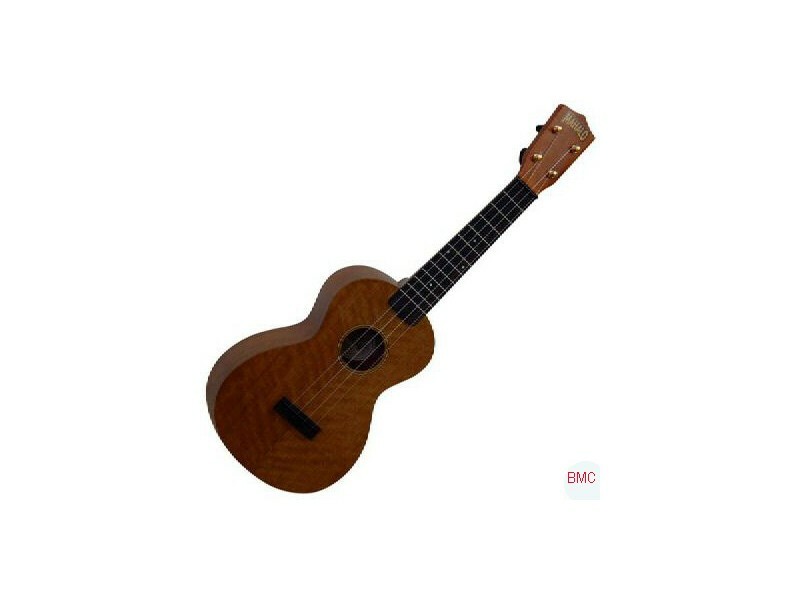 Bring your ukulele tuned G-C-E-A. 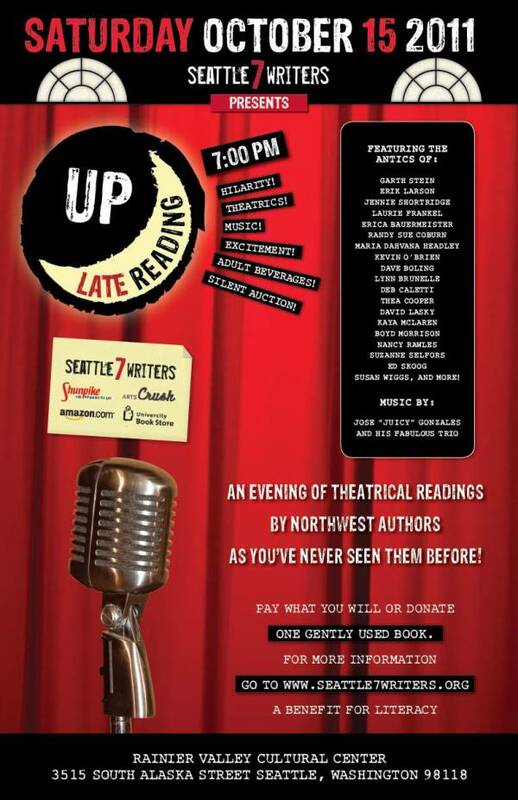 An evening of theatrical readings by Northwest authors as you've never seen them before! Join your hosts Garth Stein and Erik Larson as they lead you through an evening of hilarity, theatrics, music and excitement, all to raise money for literacy in the Northwest. Performing authors include Nancy Rawles, Kevin O'Brien, Susan Wiggs, Jennie Shortridge, Dave Boling, Deb Caletti, and more! Music by the Jose "Juicy" Gonzales Trio. You're invited — In today's world, a strong financial strategy is important for women of all ages. Your potential for success is limitless — especially when you have a financial strategy that fits your lifestyle.